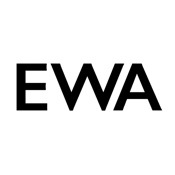 Albert Bae is a Co-Founder of East West Artists (EWA) an international talent management and production company that focuses on developing & overseeing global Asian talent. EWA manages top tier clients across Asia and Hollywood in partnership with Untitled Entertainment. Prior to this, Albert was an executive and owner of a self-named franchise for over 10 years. During this time, he built a community of thousands of franchisees worldwide that directly contributed to a record breaking $9 billion annual revenue for one of the largest privately held companies in the world. Albert is a board member, ambassador, and advisor for Skylab Apps. Welcome to East West Artist (EWA). This app and web platform gathers a community of like-minded individuals that believe that having the ability to have an app that drives your community to one specific platform will increase your awareness. Discover and improve yourself daily and experience what our platform does and how it can improve your business. Easily access training, videos, personal development tools and share information in the app with your team and the Skylab community. With this app, you get immediate access to exciting mobile and online training programs that are specifically designed to train staff on how to get the most out of their day to day responsibilities and preview the platform we build and provide. Learn and Grow with fun addictive games and when you feel ready, challenge your friends and track your progress.